What makes this beach blanket so unique? 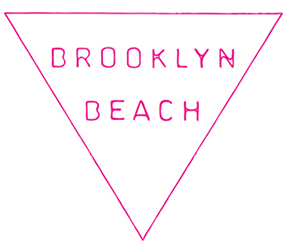 A: The Brooklyn Beach Blanket is linen, so you get the soft, yet thin, towel-like feel as you might with a turkish woven towel. And sand doesn't stick to linen (yay!) and it dries super duper fast. B: There are 4 underside corner pockets, that you fill with sand to keep your blanket totally solid on the sand. Wind won't dare disrupt your beach real-estate! Why is this beach blanket so...expensive? create fun new combinations of solids and prints. I hope you'll enjoy them as much as I love making them! seriously missing the sun, you can throw it over the couch or a table to bring a little sunshine into your life!